I thought that you might find these photos interesting. 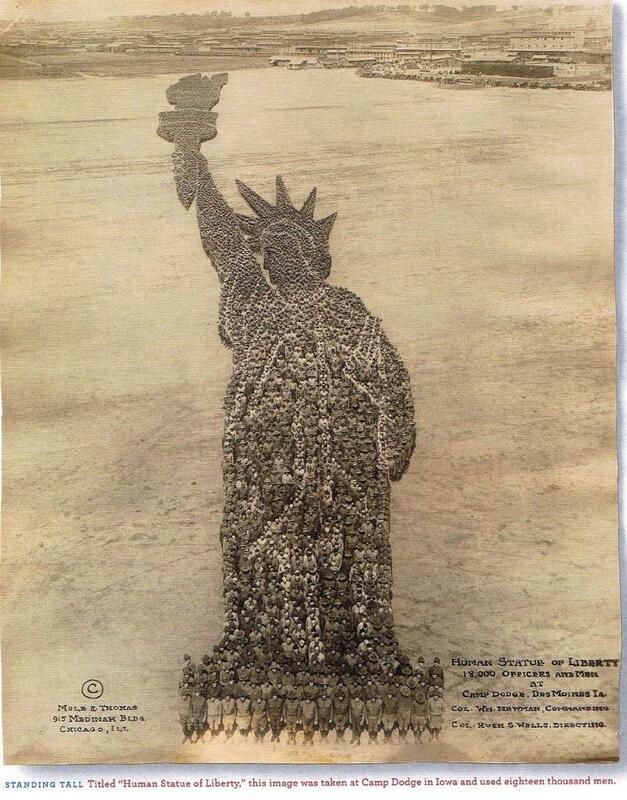 What great quality from 1941. 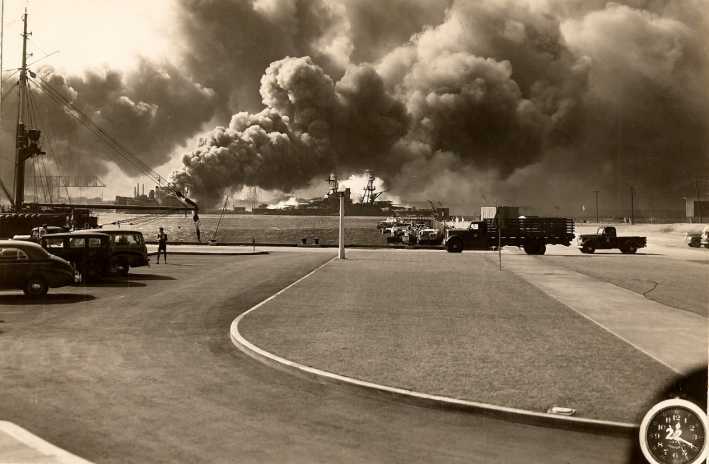 The film was found in an old Brownie stored in the foot locker of a sailor who was on the USS QUAPAW ATF-11O. 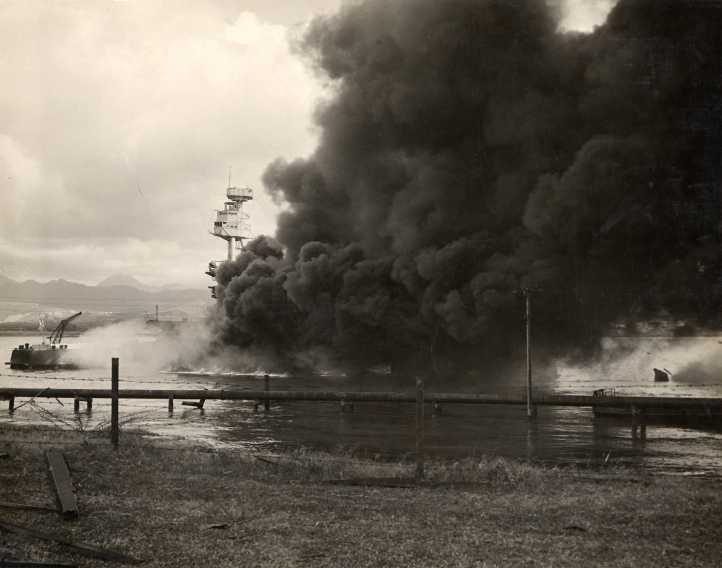 [12/7/07] - The battleship USS Arizona belches smoke as it topples over into the sea during a Japanese surprise attack on Pearl Harbor, Hawaii, in a Dec. 7, 1941 file photo. The ship sank with more than 80 percent of its 1,500-man crew, including Rear Admiral Isaac C. Kidd . 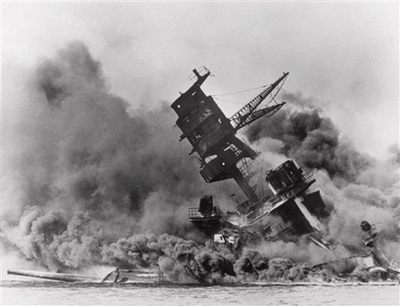 The attack, which left 2,343 Americans dead and 916 missing, broke the backbone of the U.S. Pacific Fleet and forced America out of a policy of isolationism. 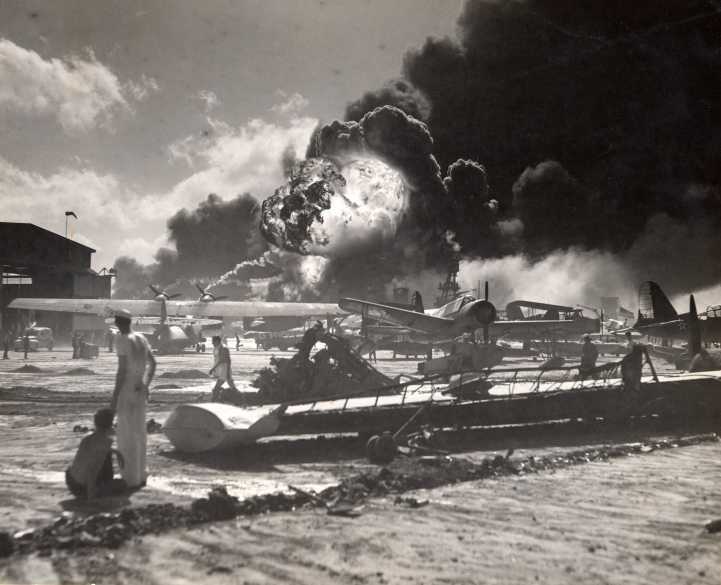 This year marks the 66th anniversary of the Japanese attack on Pearl Harbor. 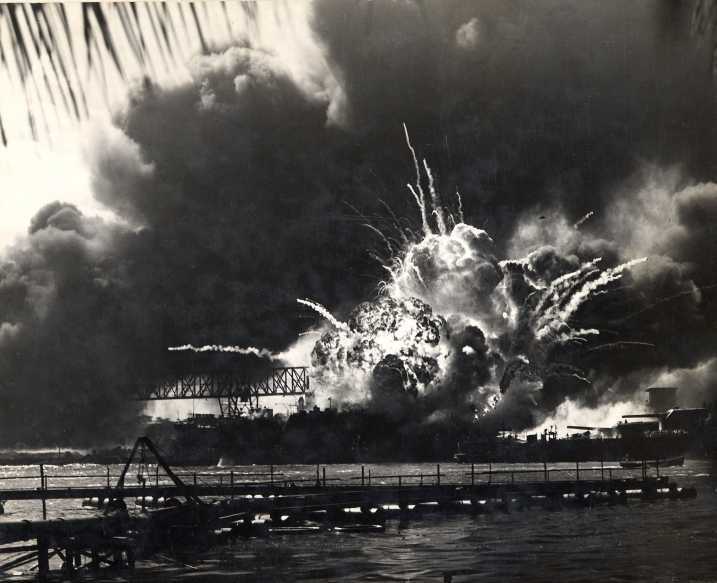 PEARL HARBOR, Hawaii - Everett Hyland was ferrying ammunition to an anti-aircraft gun aboard the USS Pennsylvania on Dec. 7, 1941, when a bomb hit, throwing him down. "I never heard anything. The only thing I knew I was flat on my face and my arms were extended in front of me and they were all purple and bleeding," Hyland said. "I ended up pretty well banged up." On Friday, Hyland was to join some 50 survivors and hundreds more family members and officials at a Pearl Harbor pier overlooking the USS Arizona Memorial to honor the attack's victims. 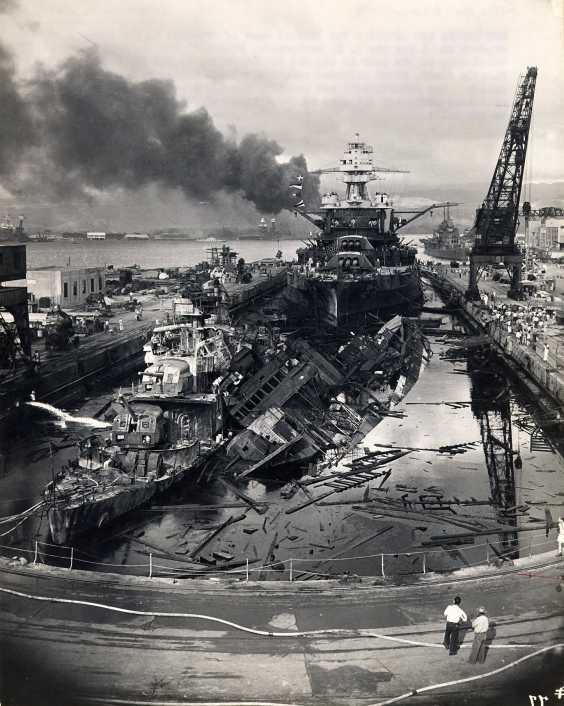 The USS Pennsylvania was among the last ships hit by Japanese bombs 66 years ago as it was dry-docked and not sitting in Battleship Row. The vessel escaped with moderate damage and set sail again after being repaired. 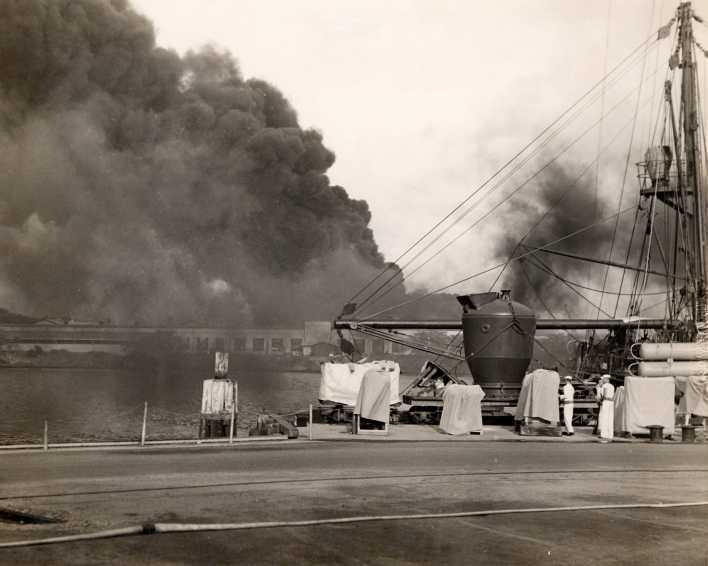 Even so, 15 men aboard were killed and 38 men were wounded. Fourteen were judged missing in action. 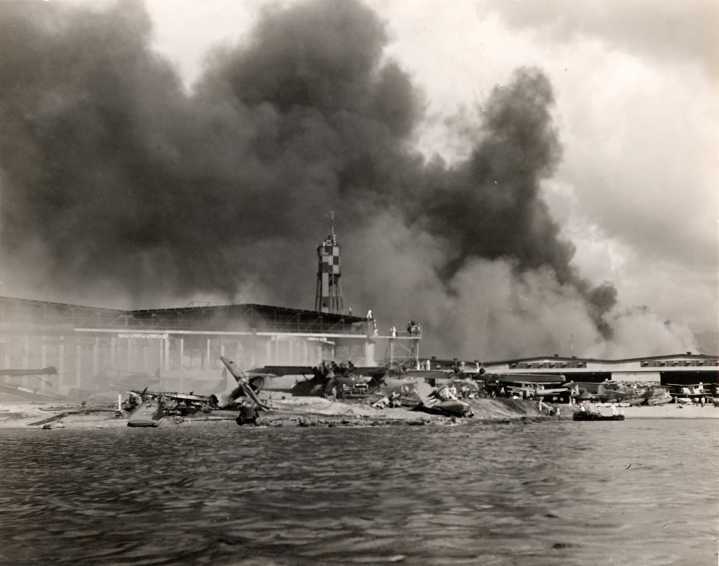 The casualties added to the overall Pearl Harbor attack toll of 2,388 dead and 1,178 wounded. 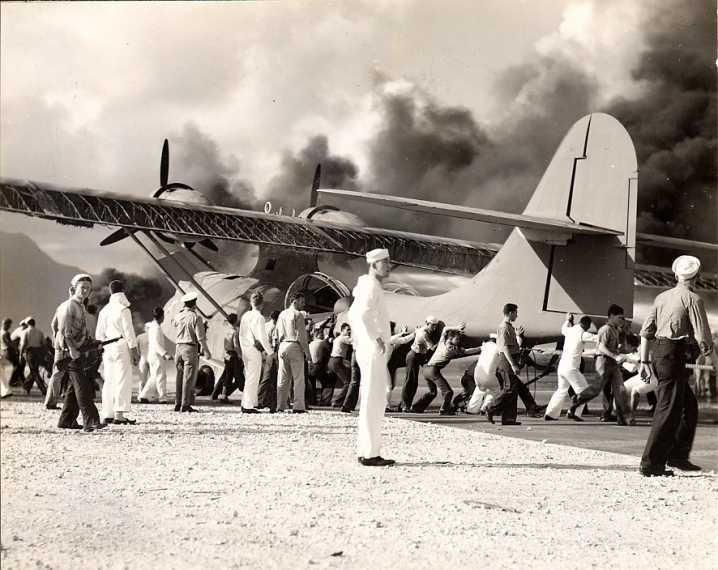 The shocking assault thrust the United States into World War II. Hyland spent nine months in the hospital recovering from the blast. Shrapnel tore through his left leg and he lost part of his left elbow and bicep. He suffered flash burns that seared skin off his arms and legs. "I got a quick facial out of it," joked Hyland, 84. His brother, after visiting the burn unit where Hyland was staying, "said we looked like roast turkeys lined up." 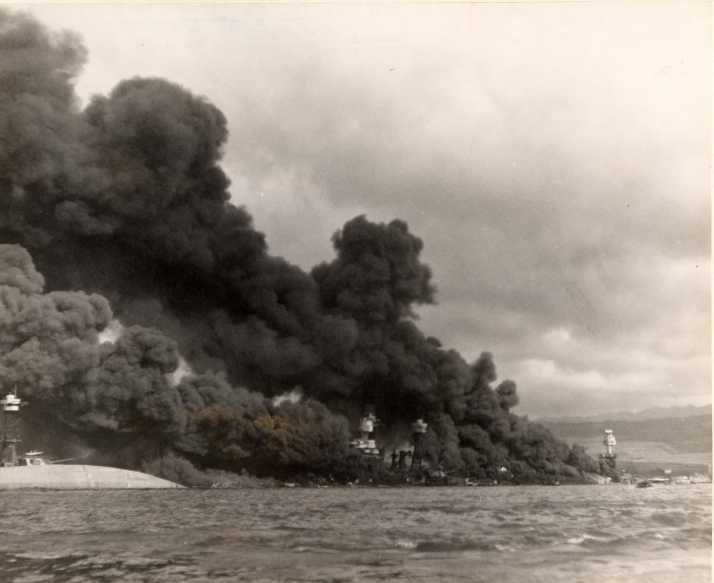 This year, survivors and their family members are dedicating a new memorial for the USS Oklahoma, which lost 429 sailors and Marines — the second greatest loss of life among any of the battleships in Pearl Harbor. 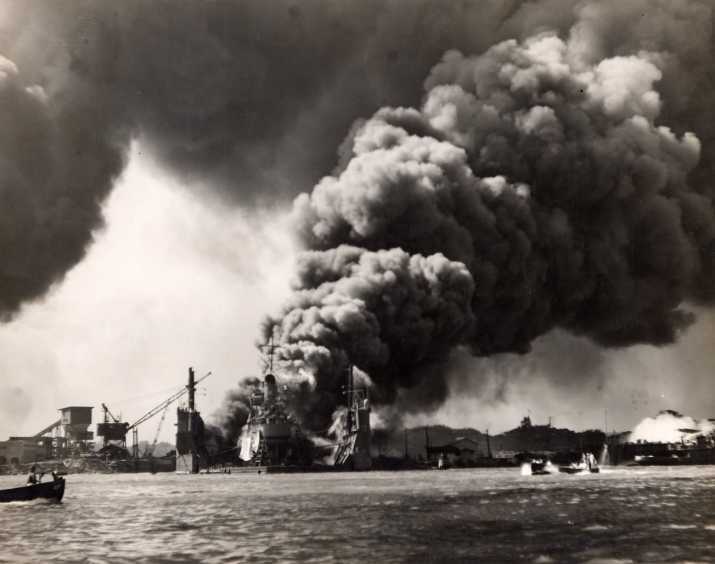 About 18 of the estimated 90 living survivors who were aboard the USS Oklahoma were expected to join Oklahoma Gov. Brad Henry and other dignitaries for the dedication of the $1.2 million memorial. The monument includes 429 white marble standards, each with the name of a fallen sailor or Marine, surrounded by black granite panels etched with a silhouette of the battleship and notable quotes from World War II-era figures that were selected by some of the survivors, said retired Navy Rear Adm. Greg Slavonic, co-chair of the USS Oklahoma Memorial Committee. 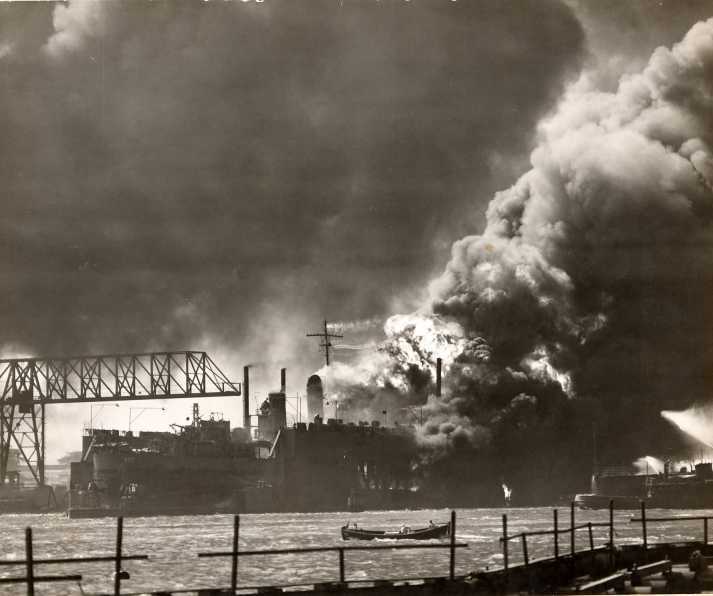 The Oklahoma was hit with the first torpedo of the morning assault. 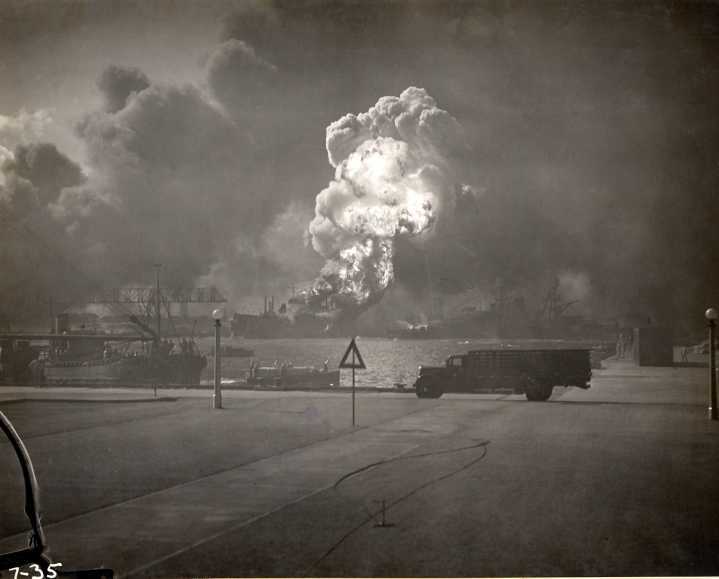 It capsized after being struck by eight more, trapping 400 men in its overturned hull. 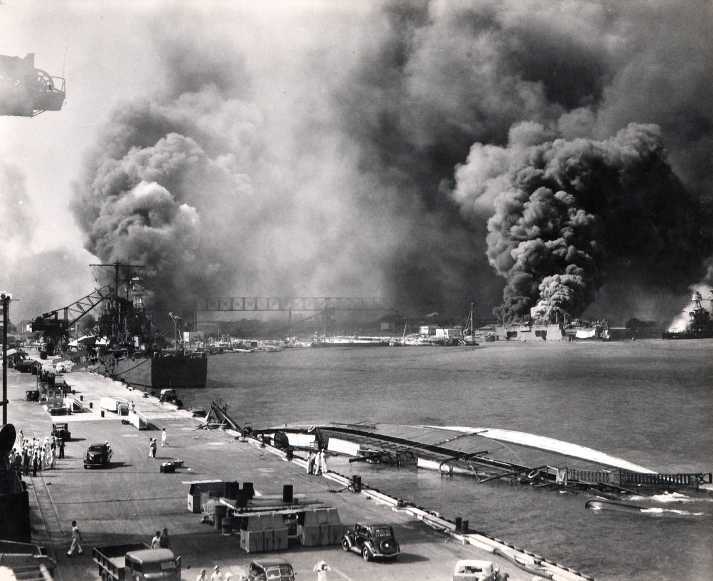 About 30 of the trapped men were later rescued by Pearl Harbor Navy Yard workers who hammered their way through the ship's metal. Retired Navy Cmdr. 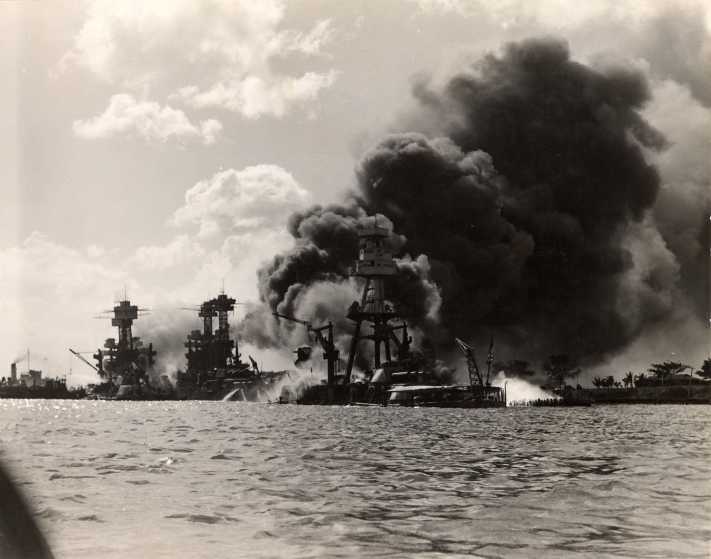 Tucker McHugh, who co-chaired the USS Oklahoma Memorial Committee, said he thinks the memorial will bring some sense of closure to those who survived and even to those who perished. "I think there's been a void in the minds and hearts of these shipmates that their shipmates were never honored with a lasting memorial," McHugh said. "Total closure might come when the last survivor passes away and they're all reunited together. "Even though 429 soldiers and Marines died, I believe they're still with us. I think they're looking down and saying, 'Thank you.'" Sen. Daniel Inouye, D-Hawaii, who witnessed the Pearl Harbor attack as a 17-year-old high school senior and who later received the Medal of Honor for fighting in Europe, said he hoped the ceremony would prompt people to think of those serving today. "There are over 1.4 million in many countries, not just Iraq and Afghanistan, serving us, ready to stand in harms way for us," Inouye told The Associated Press this week. "And there are an equal number of families, children and wives and husbands spending time at home thinking about them." 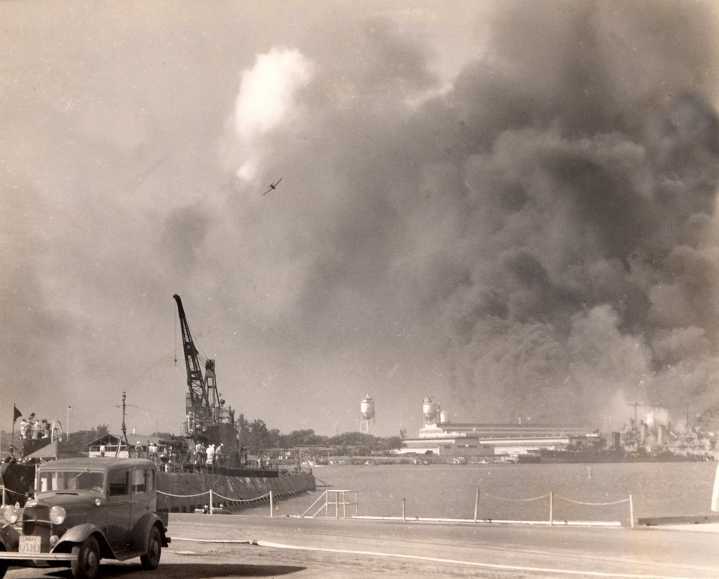 Inouye has regularly participated in annual Pearl Harbor remembrance ceremonies since he became a U.S. senator in the 1960s. But he's missing this year's event because of Senate business. Organizers expected about 2,500 people to attend Friday's ceremony. But it was likely to be smaller than the 65th anniversary, which drew some 500 survivors and their families.